Brannon had a hunch he would win so he bought two Silver Peach instant tickets at a gas station. 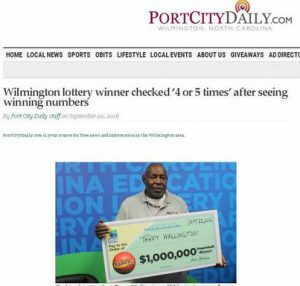 By now we’ve probably heard about dozens of lucky ‘formulas’ for winning the lottery. Some believe in dreams, fortune cookies, urges, and lots of other ‘systems’. Retired factory worker Maggie Pendergast and her friend Steve Kerr have won a million pounds and a trip to Brazil. 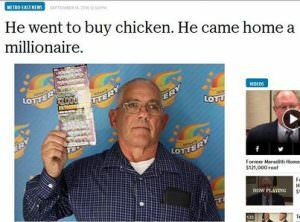 The lucky pair have been playing as a syndicate for a while and each buy two Euromillions tickets per week. 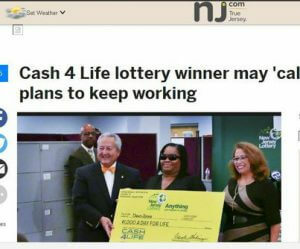 When they won a $4 million jackpot they immediately resigned from their job doing housekeeping and maintenance for a property manager – they wanted time to enjoy life.